SACRAMENTO -- The Campaign for Grade-Level Reading recognized 25 cities and counties as Community Solutions PaceSetters for their work addressing the challenges that keep low-income children from mastering reading by the end of third grade. The PaceSetters will be honored at a conference June 30-July 2 in Denver that will launch a national network committed to grade-level reading. Altogether, 124 cities and regions have joined the Campaign for Grade-Level Reading Community Network, adopting a collective impact strategy that engages the full community around the goal of supporting low-income children from birth through third grade. The PaceSetter Honors recognize communities that are "leading by example" to solve one or more of these challenges that can undermine early literacy. In many cases, the PaceSetters still have much work to do. But their efforts provide other communities with promising models to replicate, as well as inspiration for working toward their own creative solutions. "There is no single silver bullet," said Ralph Smith, managing director of the Campaign and a senior vice president at the Annie E. Casey Foundation. "Each of these PaceSetters is contributing one more piece of the puzzle." In addition to the PaceSetter Honors for communities, several states will be recognized at the Denver conference. 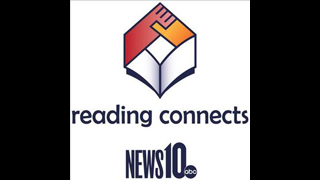 Also, 10 to 15 communities will receive the All-America City Award, a National Civic League award program tied this year to the reading campaign. Those awardees will be chosen from 32 finalists at the end of the conference July 2. The conference in Denver will provide communities the opportunity to meet with state and federal policymakers, national nonprofits, foundations and peers engaged in improving grade-level reading. The communities in the network will have access to an online help desk, peer-learning opportunities and a foundation registry designed to expand and replicate successful programs.